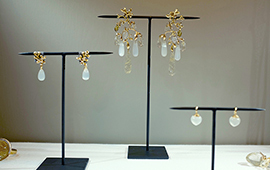 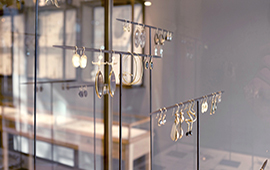 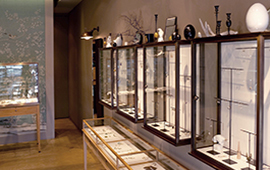 Discreetly situated among the hip restaurants and trendy boutiques on West 3rd Street in Los Angeles, August has become one of the most beloved jewelry boutiques of Hollywood insiders since it opened in 2014. 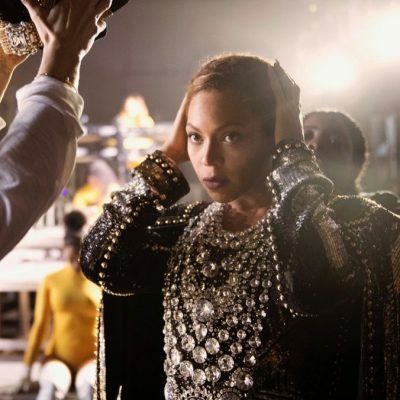 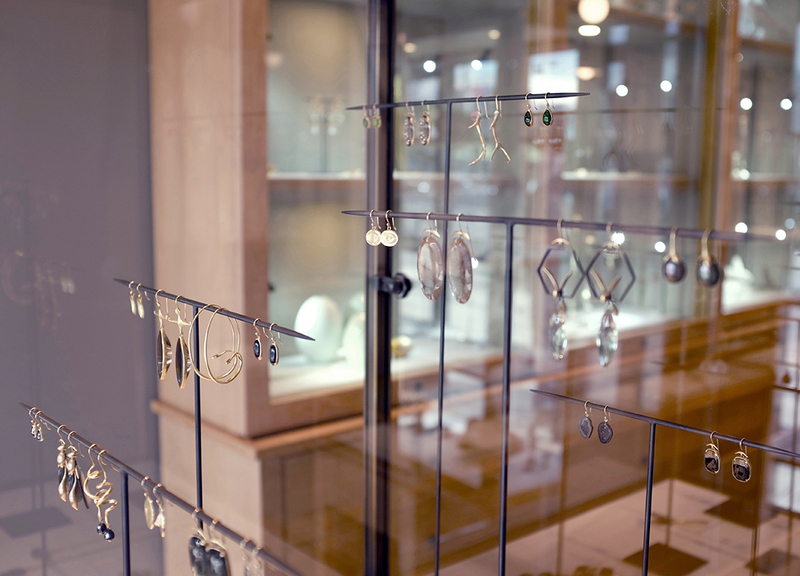 Word of mouth rapidly spread that it was the go-to source in the City of Angels for hard to find cult jewelry favorites such as Ted Muehling, Gabriella Kiss, and Ten Thousand Things. 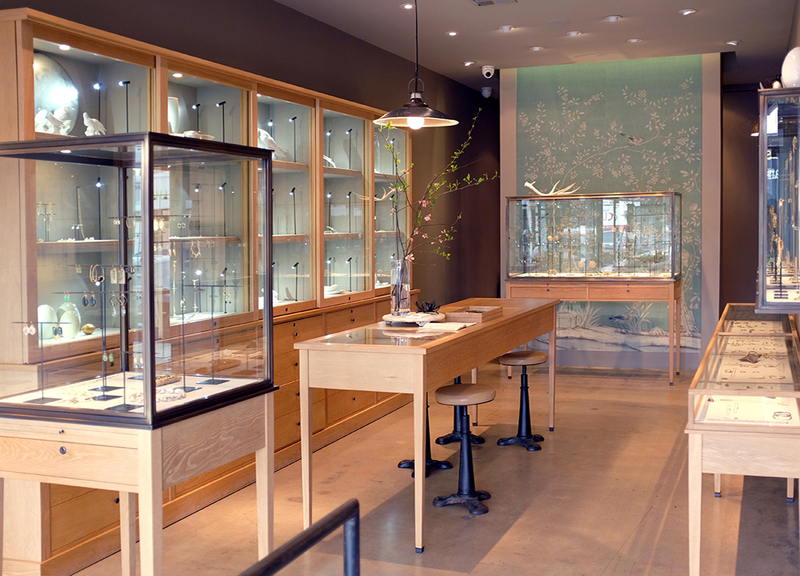 While owner Bill Hermsen won’t divulge his star studded client list, Jennifer Aniston has confessed her love for the store in interviews. 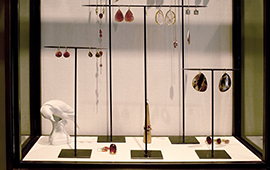 It is also public knowledge that when the The Star Trek Beyond costume design team needed earrings for Uhura (Zoe Saldana), they headed straight to August where they found Ted Muehling’s small chips. 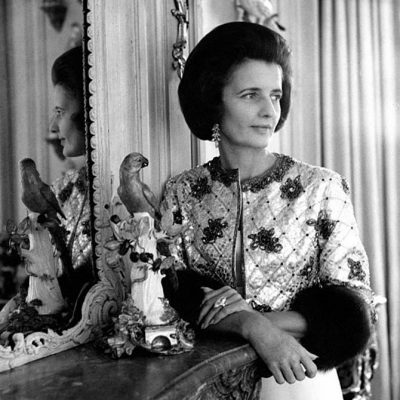 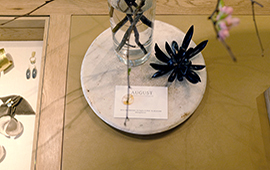 A visit to August makes it easy to understand what luminaries like about the place. 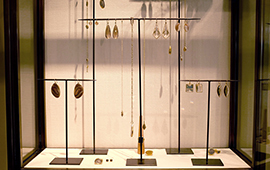 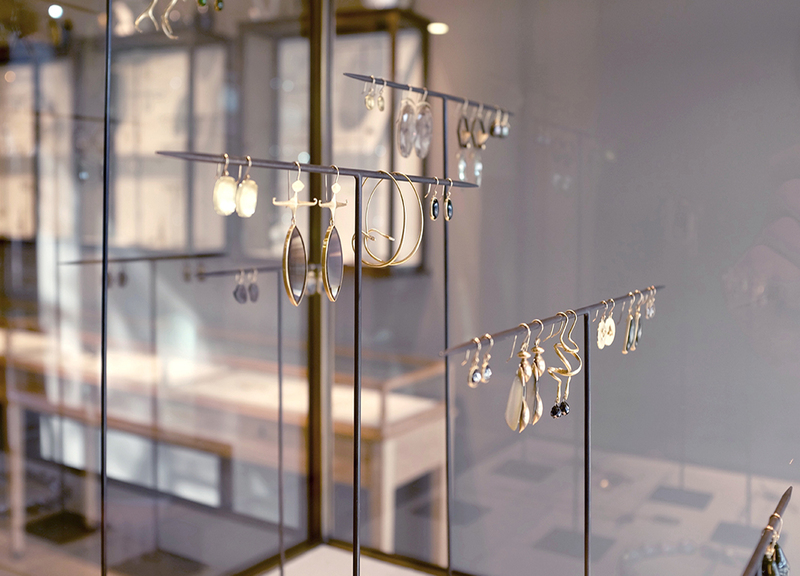 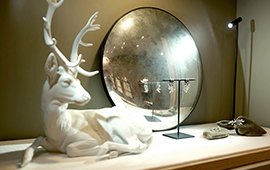 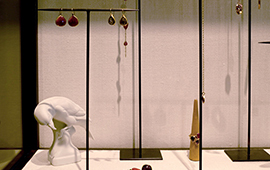 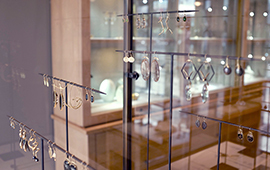 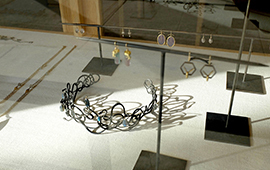 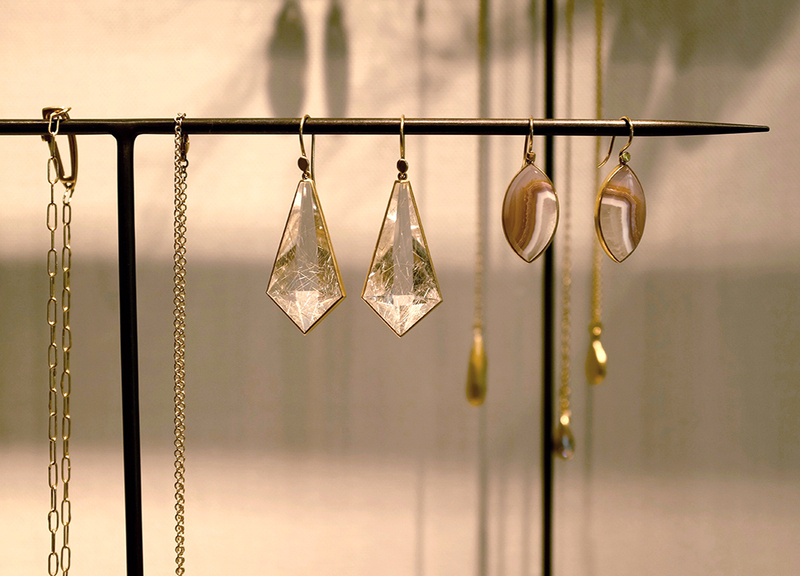 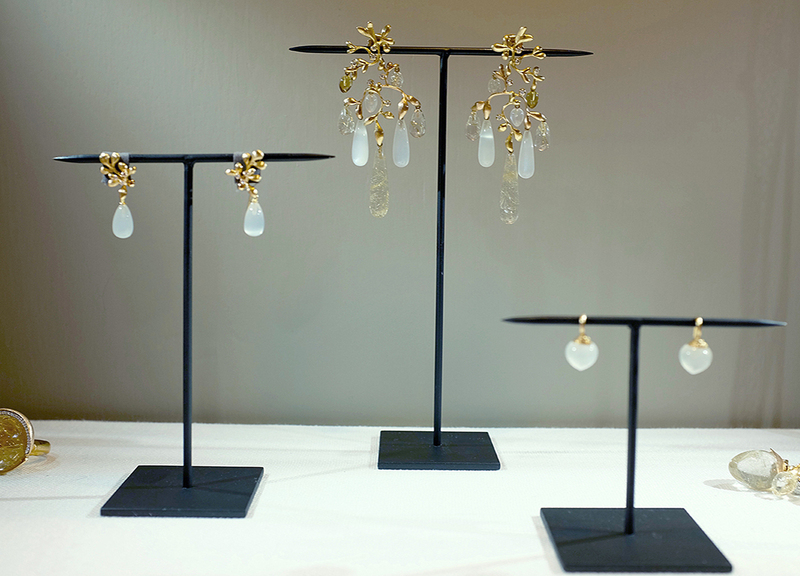 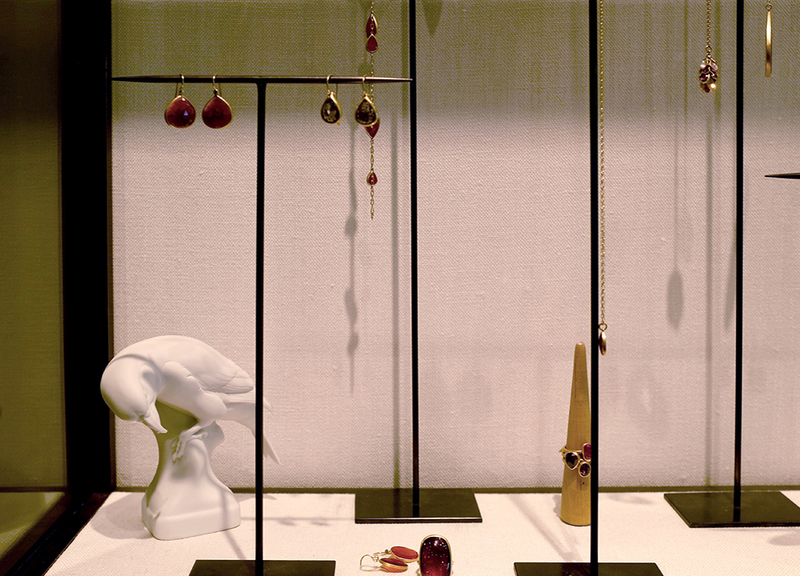 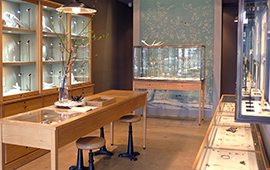 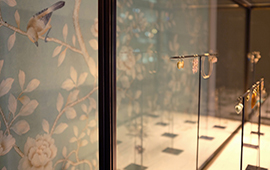 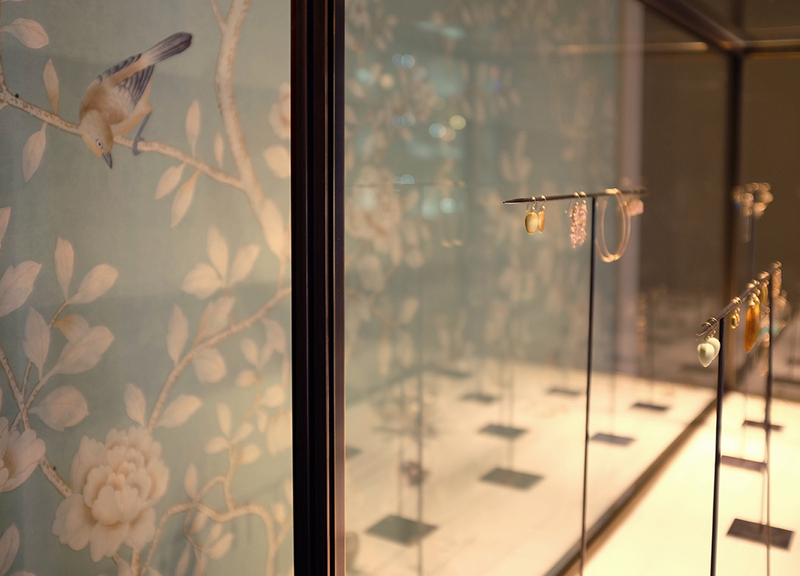 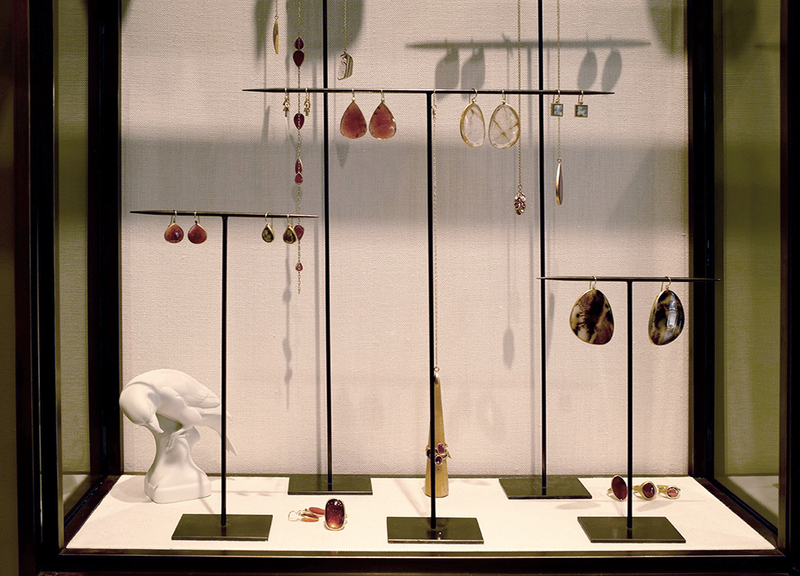 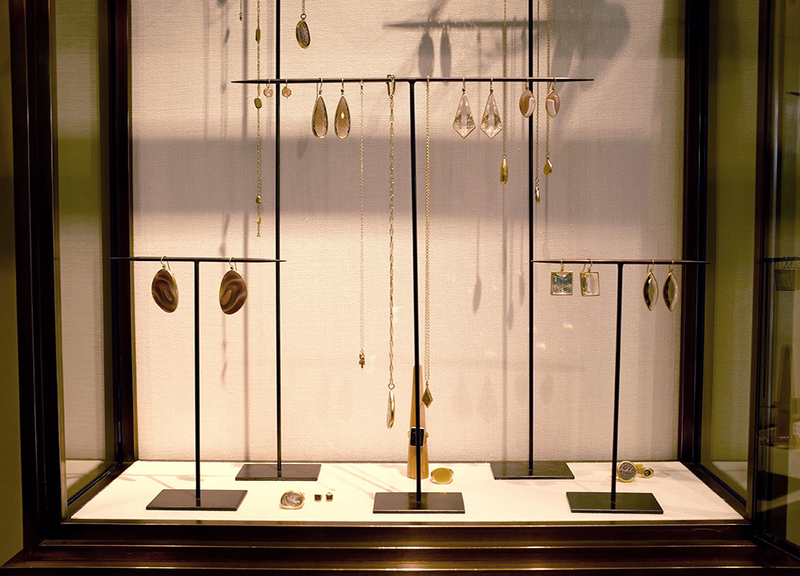 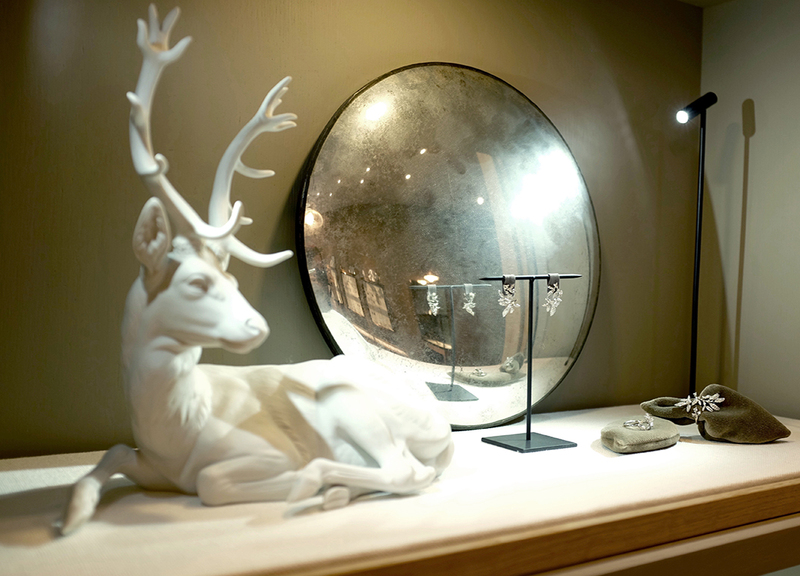 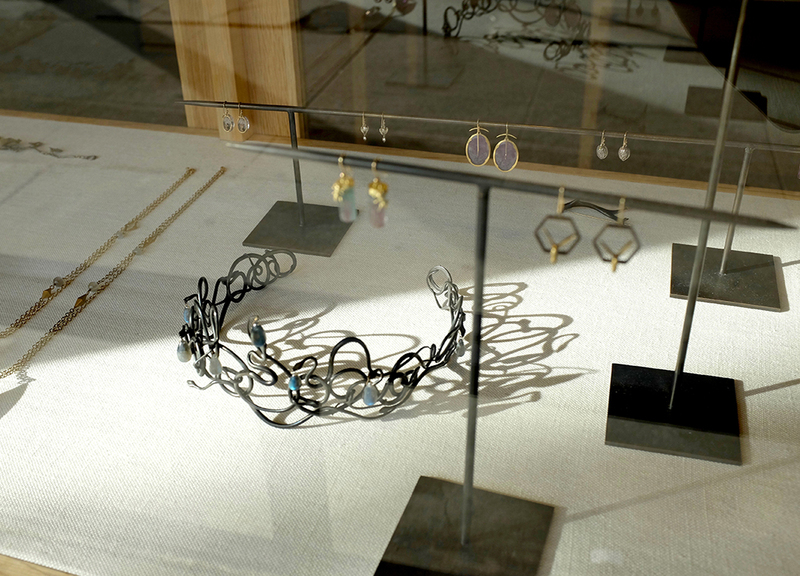 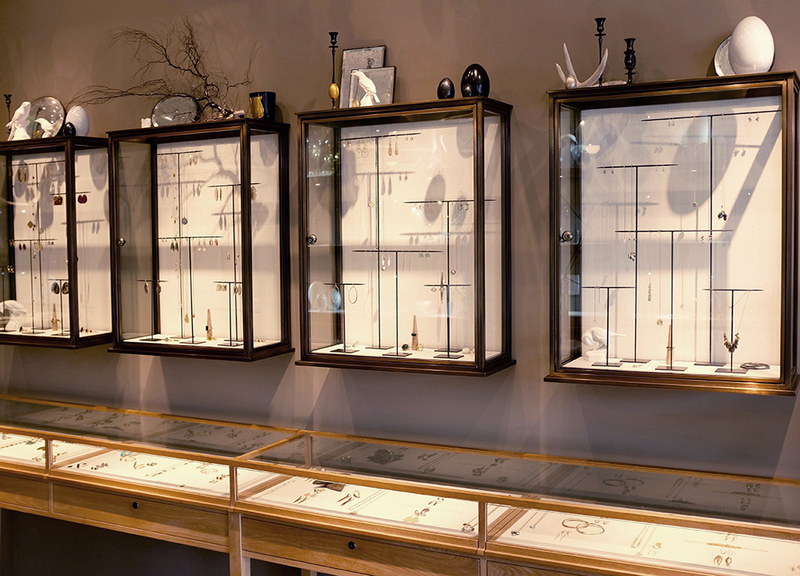 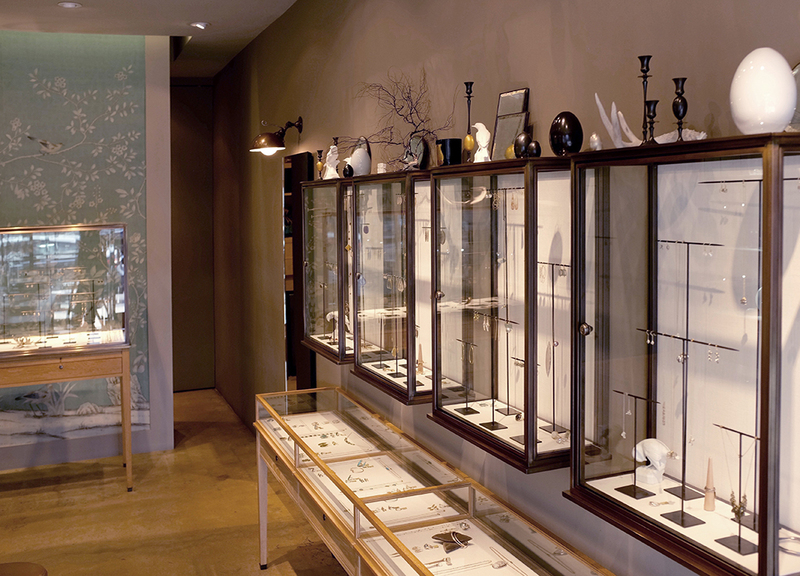 Bill designed the beautiful little boutique as carefully as he curates the selection of jewelry. 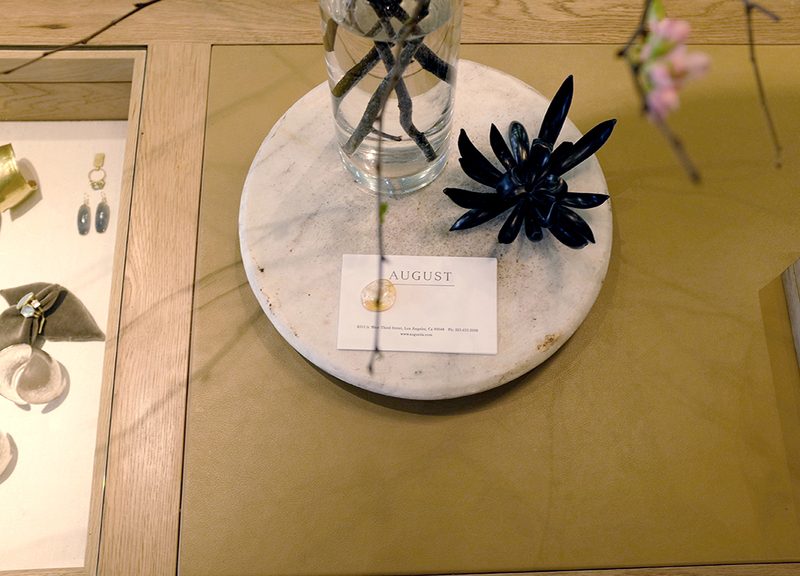 The space is infused with the clean minimal aesthetic found in Copenhagen where Bill spends a great deal of vacation time every year with his Danish partner. 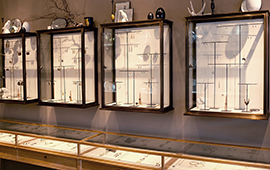 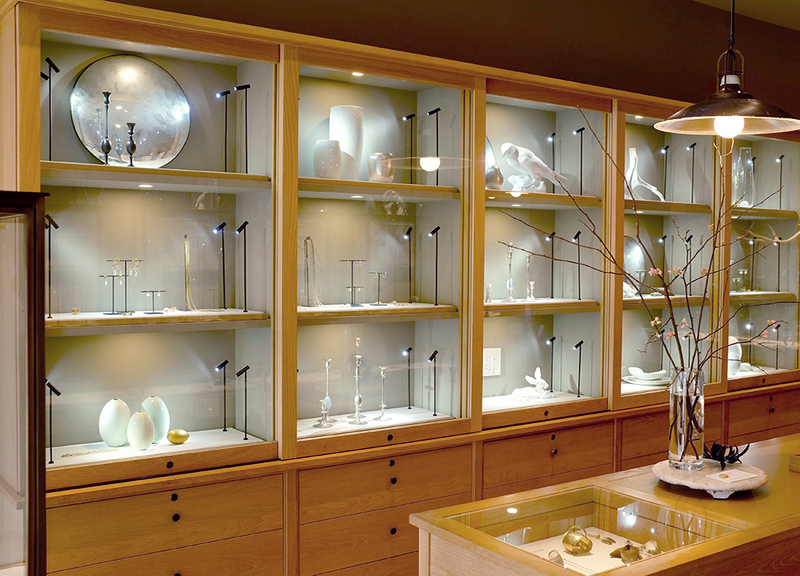 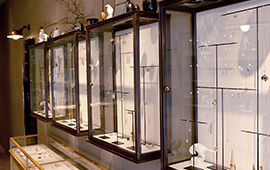 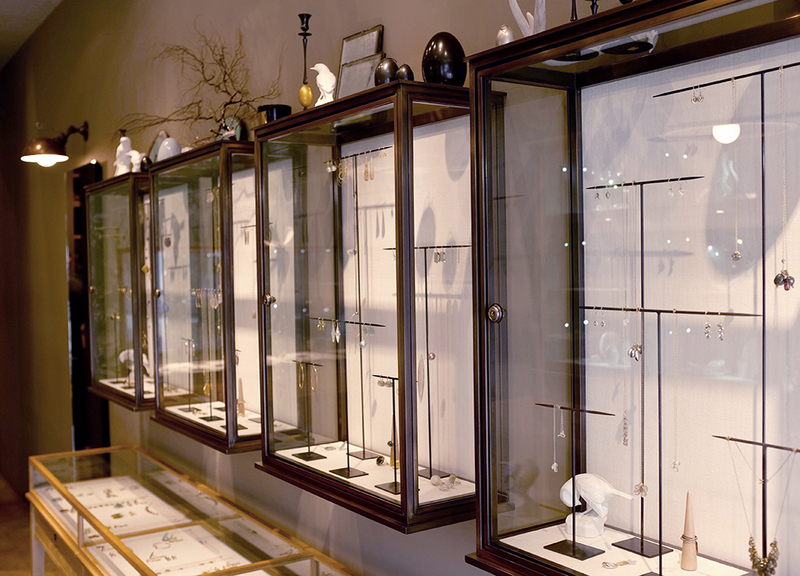 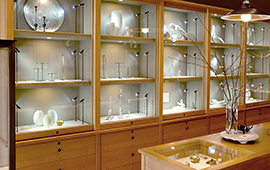 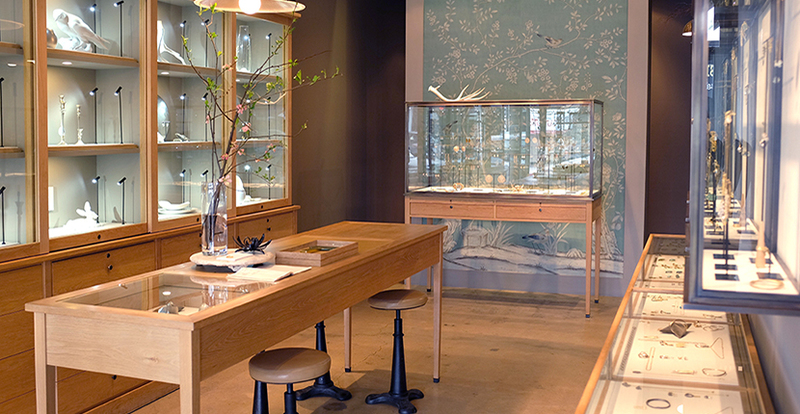 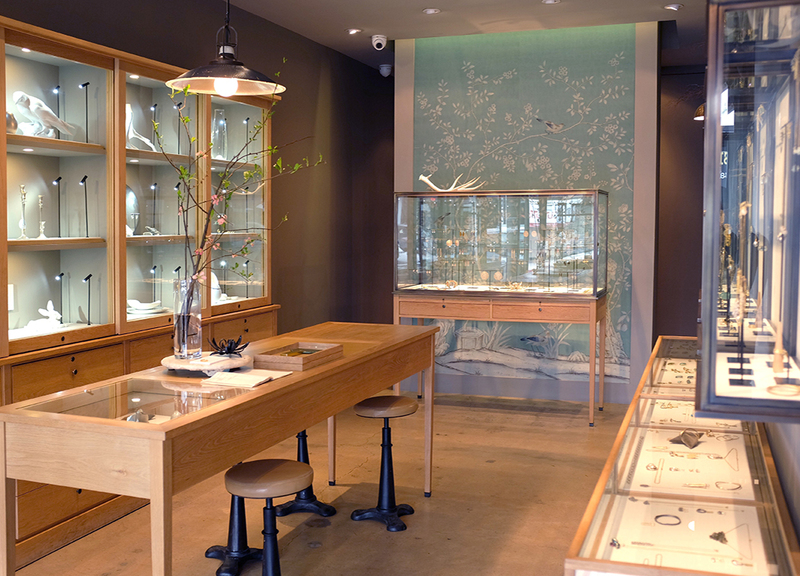 All of the white oak and bronze display cases that line the walls were custom made to Bill’s specifications. 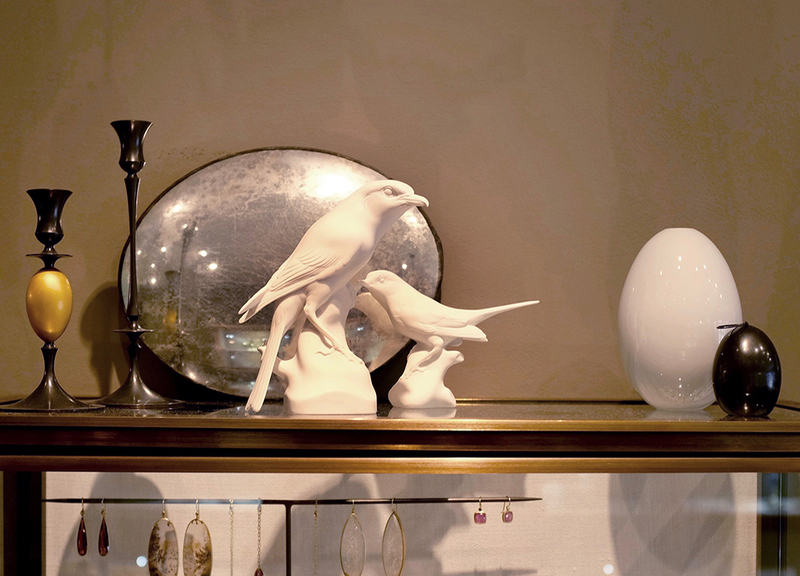 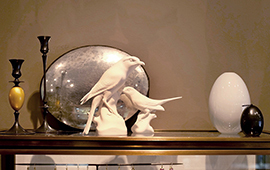 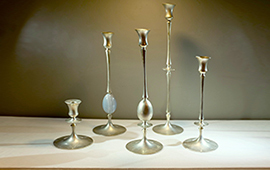 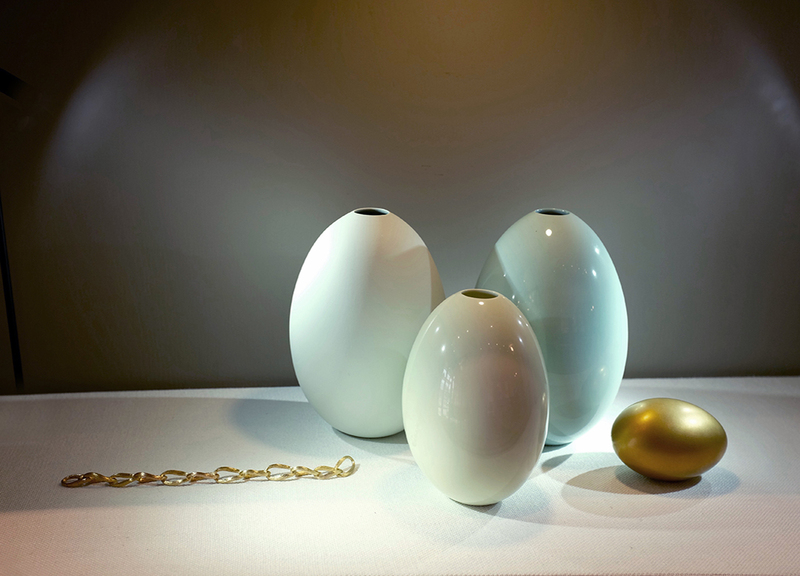 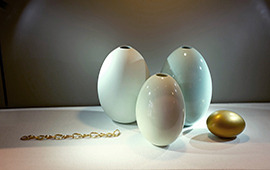 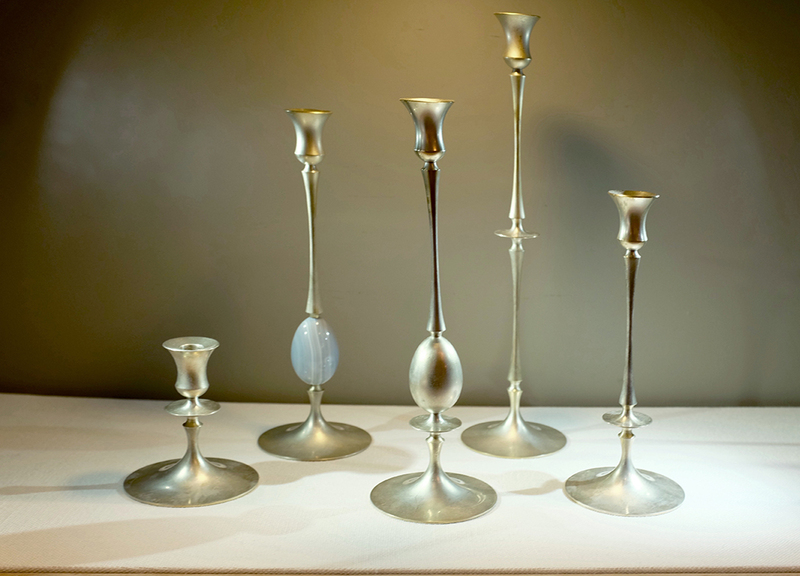 Porcelain sculptures by Ted Muehling and Nymphenburg act as artistic accents to the jewels and have become collectibles for clients. 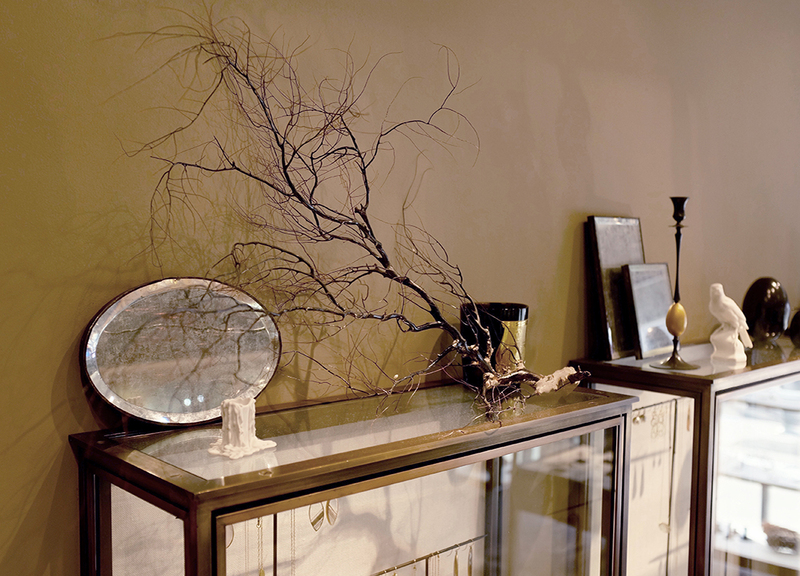 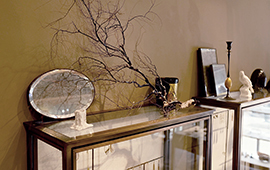 Silver and gold leaf mirrors by Maureen Fullan add depth and reflection to the various mise en scènes. 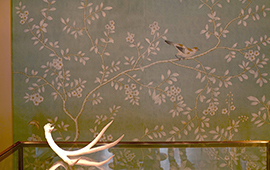 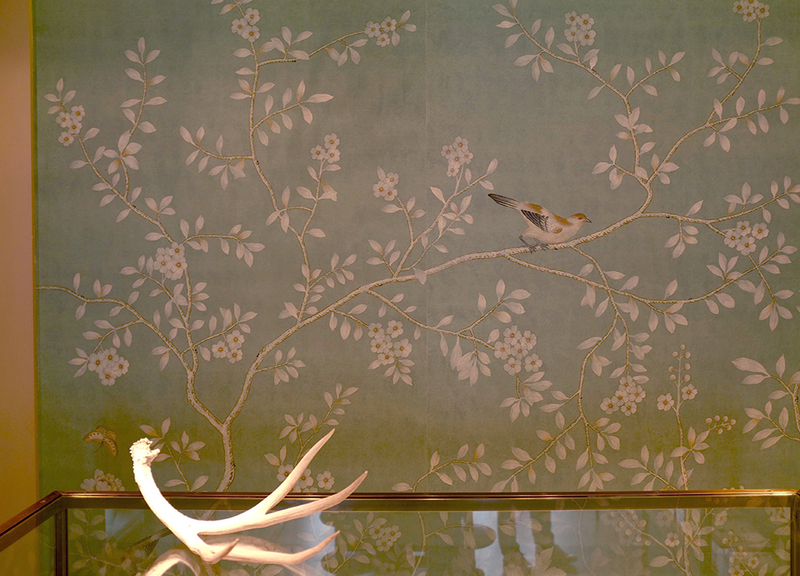 Dreamy De Gournay wallpaper brings a fanciful flourish to the floating wall in the back of the store. 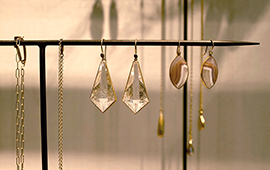 While beautiful California light bathes the interior of the boutique every afternoon, it is the sun and warmth experienced during the last month of summer that inspired the name.